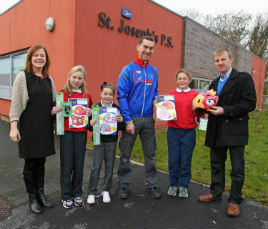 Aoibhe O'Malley was the winner of a Novelty Cycling Helmet. 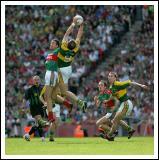 Click on photo for details from Michael Donnelly and Noel Gibbons. 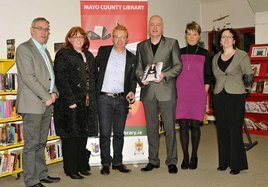 At the launch of Tommy Fleming's autobiography 'Let Me Begin' in Castlebar Library. Filming in National Museum of Ireland, Country Life, Castlebar for special Christmas item for RTE News. Aoibhe O'Malley was the winner of a Novelty Cycling Helmet. 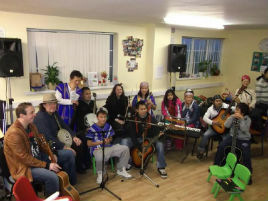 Christmas Choral Recital featuring Cór Mhaigheo and Gracenotes. 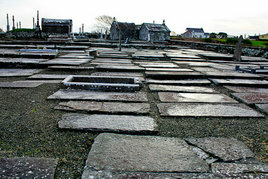 An unusual burial place in Rineron in Co. Clare. 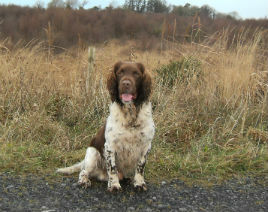 There is nothing to compare with a good brisk in the Irish countryside at this time of the year. 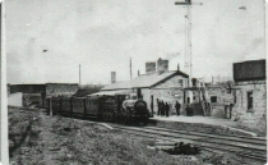 The 150th anniversary of Castlebar Railway Station will be celebrated on 16 December by An Taoiseach Mr.Enda Kenny T.D. 500 free inspirational calendars for 2013 being given away this Christmas. 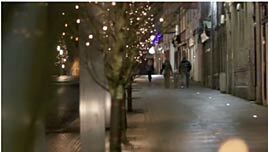 A video montage of a cold winter evening around Castlebar. Fancy a Run/Jog on Stephen's Day?